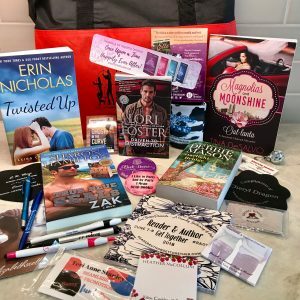 For #ThankfulThursday we have an #RAGT 2018 goody bag filled with a variety of fun author swag + books by Erin Nicholas, Sharon Hamilton, Tina De Salvo, Debbie Mason & an autographed copy of Lori’s newest book, Driven to Distraction. If you LIKE Lori’s Facebook page, you’re already entered to win! One random winner will be drawn from Lori’s LIKEs at 8am EST, Friday, January 18.